I took up a familiar stance as the Master of Ceremonies, overseeing a funeral in a church that I’d been in many, many times before. Church can be a calming refuge – even with the responsibility of a funeral to keep you focused, I always find the ambiance pleasing…and comforting. Here and there, I take the opportunity for a few short prayers, taking advantage of my surroundings to feel just that little bit closer to God. With the mourners in their places, and the minister taking ownership of the funeral rite, there are moments where I’m redundant. I can follow a reading, or sing a hymn, listen to a piece of music, the address or the eulogy and still find bite-size opportunities to pray. 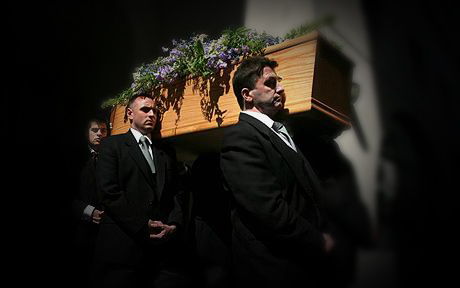 I can even pray for the person in the coffin – the privilege of being there to give the last possible element of care to the person, meeting their family, getting to know them over the short time that our association allows, being privy to personal anecdotes knitted into the eulogy, all paint a picture of the person in the coffin. The character loses mystery, anonymity, and becomes less of a stranger. So I guess I’m justified to include them in these bites of prayer. I could care less that the funeral was late in the afternoon, it didn’t matter a jot! The wind blew hard outside with occasional stronger gusts, as if to remind us not to become familiar with a level strength, but to impress on us that it would blow harder if we didn’t pay attention! The sun was at that point where it considered it’s westerly retreat a haven from a long day working its craft – its light only just making it through stained-glass. Electric lights in the church served to compliment what was left of the sun but they were few… A light by the lectern shone upwards and illuminated the minister in a sort of sinister way – try holding a torch under your chin and you’ll get the impression… The available light though was making for warm tones. Shadows were all the more pronounced and painted complex patterns around walls, where nooks and crannies contrived to use those shadows to boast that they were there! The sinister-looking cleric, crept from his lectern and with a sombre expression, sung the words of the Nunc Dimittis… The end of which signified the conclusion of the funeral service. With coffin turned and shouldered, and the mourners readied to leave, the doors to the church opened. Wind rushed around the ceilings and light struggled. As the coffin bearers moved off and I asked the mourners to join me, the organ rang out violently, the haunting, melancholic thump of Toccata and Fugue in D minor! I drew breath and felt hairs on the back of my neck that had often only risen slightly at the onset of excitement, stand completely to attention! A surging wave of nerves momentarily shook my vision, and I could feel my diaphragm tensing, as if it were the only thing capable of keeping me rigid enough to stand! 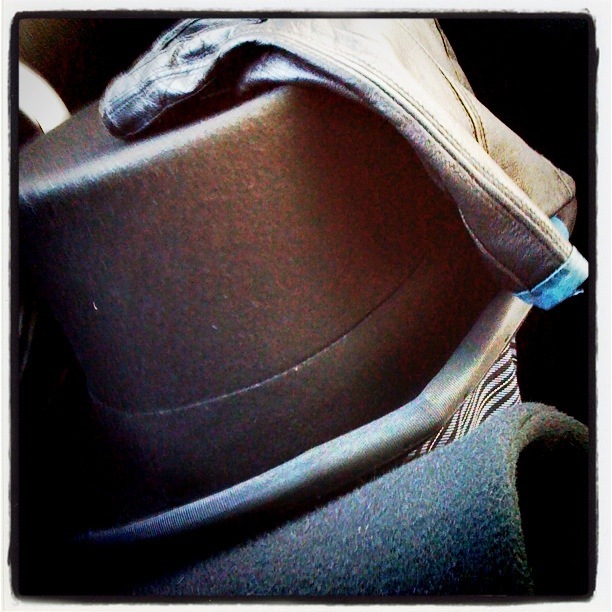 In the calmness that followed as I strode out into the road, gloves and top hat in hand, leading out the funeral cortege, I realised that my senses had already been sharp, and that the atmosphere I had just soaked up served only to embellish them in a manner fitting of expectation and anticipation for a love that I have. Much later and in the early hours of the next day, I woke from something I wouldn’t credit as sleep. Too dark to see a printed word on paper, I grasped my iphone and prodded at the screen! There sat a bible I could read in the dark! I read. I curl back up and I pray – but not for me…for my raison d’etre..